DynaMed is an evidence-based clinical reference tool for physicians and other health care professionals created for use primarily at the 'point-of-care'. Available for Blackberry, Android, and iPhone, iPod Touch, iPad (iOS 7.0 and higher). Lexi-Comp is a comprehensive drug information tool for use at the point of care. It contains clinical modules with information about drug interactions, identification, calculations, toxicology, and patient education. The indexes provide current generic and brand names for drugs used in the United States, Canada, and internationally for adult, paediatric, and geriatric populations. Natural product, infectious disease, and lab test information is also included. AHS-affliated individuals, such as University of Alberta Medical Residents, are suggested to download Lexicomp through the Alberta Health & Service Knowledge Resource Service as their needs focus on patient care. This is contrasted to University students whose use centers on course study. Available for iPhone, iPod Touch, iPad (iOS 7.0 and higher), Android, Blackberry. Mobile app available for Apple and Android mobile devices. > Access to thousands of Health Canada–approved monographs. drugs, including valuable guidance on off-label uses. > Health Canada advisories and alerts posted within 48 hours of issue. As part of University of Alberta Libraries’ subscription to RxTx, we are pleased to provide you with your own personal access to the RxTx mobile app! Click here to register (Organization Code: 0072609). Go to the Apple App Store or Google Play App Store from your smartphone/tablet, search for RxTx Mobile and install the app. Enter the email address and the password created during registration. This step is only required the first time the app is opened. Available for Apple and Android mobile devices. The subscription access University of Alberta staff and students have to the app, RxFiles Plus app (RxFiles +), is IP recognition only (IP addresses associated with an on-campus access). The RxFiles Plus app is set up when on-campus only. The RxFiles Plus app will work off-site for 3 months following this on-site activation. Note : The text at the bottom of the home page will state that the app is unlocked when accessed from on-campus (with an allowed IP address) and will list an end date of 3 months. Note: To maintain app functionality, the app will need to be reactivated on-campus prior to the 3 months expiry date. Please view this this video link for an informative user guide. 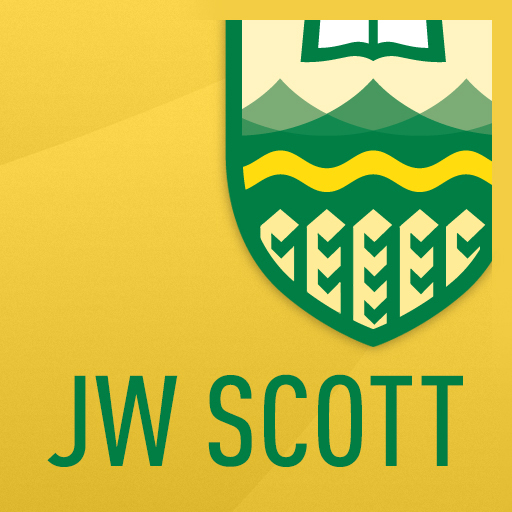 BrowZine allows the user to browse, read, and monitor selected Open Access and University of Alberta Library subscription-based scholarly journals across their discipline. Available for iPad, and Android. Reference tool designed to provide relevant clinical resources to nurses and other health care professionals, directly at the point-of-care. Clinical Key integrates much of Elsevier's medical and surgical content into one online resource, giving physicians access to large numbers of books, journals, videos and images. NOTE: You must be signed on to a free ClinicalKey account in order to download PDF versions of articles and book chapters. ClinicalKey can be accessed on Apple and Android mobile devices. To access the full content of ClinicalKey you will need to register for a free ClinicalKey account. Information on this can be found here. Also known as: |Natural Standard| Natural Medicines provides evidence-based information about complementary and alternative therapies, and includes contributors from more than 50 academic institutions. For each therapy covered by Natural Medicines, a research team systematically gathers scientific data and expert opinions. Validated rating scales are used to evaluate the quality of available evidence. Information is incorporated into comprehensive monographs which are designed to facilitate clinical decision making. Available for Blackberry, iPhone/iPod Touch, iPad, Android, Palm OS and Windows Mobile. Access the Natural Medicines database from this Library homepage. > Click on CE/CME Center. > Click on, Create a CE ID #, and complete the information required. > A CE ID # will be provided to you. > Download the app from your App Store. > Enter the CE ID # in the address box and leave the password box blank. > The Natural Medicine database is downloaded to your device. Need to find a few articles quickly? Most of our top health sciences databases are available in mobile format. EBSCOhost (mobile) version of the MEDLINE database. CINAHL (Nursing and Allied Health) mobile. EBSCOhost Mobile Applications - iPhone and Android. Use the Ebscohost app to access all of the library's Ebsco databases, including Academic Search Complete, CINAHL, MEDLINE, and SportDiscus. Includes links to full-text. The Scopus App is available for iOS (iPhone, iPod Touch, iPad) and Android. Requires free account registration. The new PubMed Mobile interface from the National Library of Medicine (PMHh interface) looks the same as the database PubMed (UA Access) - citations have a “Get Full Text” link (Get-It) to our electronic journals. Users will be required to authenticate before they can access full text, just as they would through PubMed (UA Access) queries. SciFinder provides access to the online version of Chemical Abstracts. Free for a limited time. Optimized web access to JAMA and other JAMA journals on any device or platform.